The deadline to register is April 1st if you want to vote in the May 2nd Primaries! Unless you move, you only have to register once. Ever. It only takes a few minutes! If you live in Hancock County, you register at the Circuit Clerk's office in the historic courthouse, 152 Main Street, Bay St. Louis. Coming in the courthouse's main entrance, the office will be to your right, on the first floor. You do not need any ID to register in person. Your voter ID card will be mailed to your home (which is proof of your address) and you'll have to show ID when you go to vote. Have questions? Call the nice folks at the Clerk's office: (228) 467-5265. If you'd like to register by mail, you can download the form below and follow the directions. See our election timeline for mail-in registration deadlines. 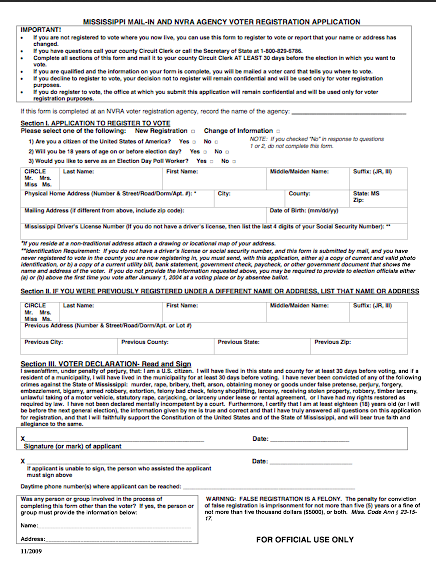 A Mail-In Voter Registration Application is downloadable from this page (to the right). To register, simply provide the information requested, including your drivers license number and/or the last four digits of your Social Security number. If you do not provide the information requested above, you may be required to show identification the first time you vote in the precinct or by absentee ballot. If you forget to take an ID to the polls on Election Day, you will be allowed to cast an affidavit ballot. 3. Applications must be postmarked 30 days before the election in which you wish to vote. 4. Mail-In Registration Applications are available at your Circuit Clerk’s office, Municipal Clerk’s office, public library and other participating government offices. Also, Mail-In Registration Applications may be downloaded from www.sos.ms.gov. Click on the form below to super-size. You'll also be able to download it to your own computer. Voter registration info on this page is taken from the Mississippi Secretary of State's Voter Information brochure. 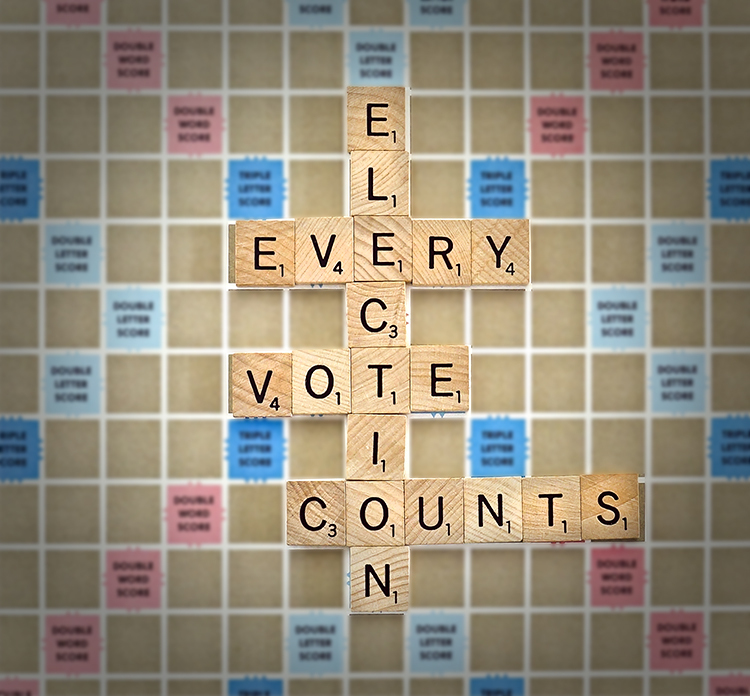 You may download a copy on our "Election Info" page.